After getting overexcited at an apple orchard a few weeks ago Ian and I came home with more apples than we knew what to do with! I made a few few batches of apple sauce, but our kitchen was still overflowing with produce. Cue recipe testing! 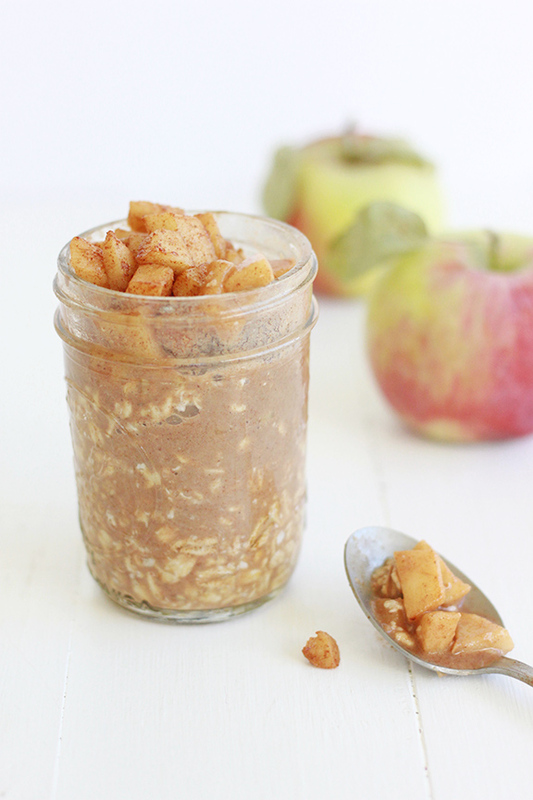 There’s no better time to get creative in the kitchen than when you are drowning in apples! Right?! I played around with apple crisp, muffins and overnight oatmeal. My favorite?! Well, I think the title of this post gives it away! 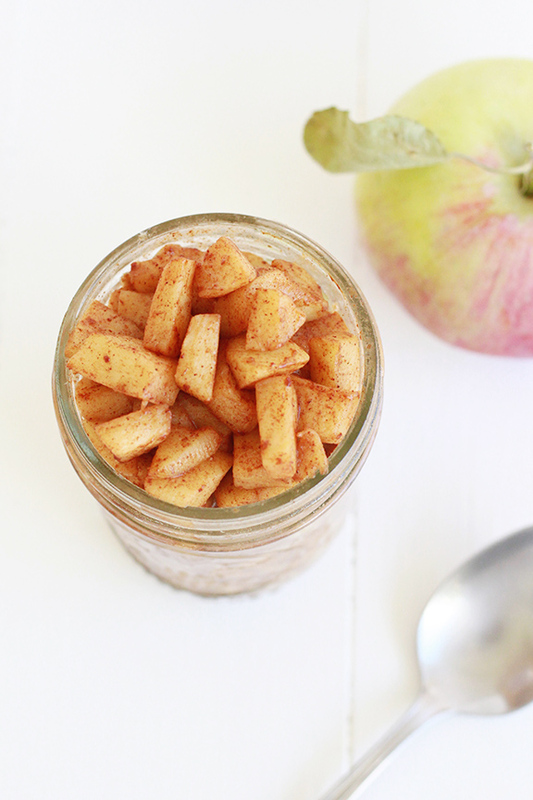 The apple cinnamon overnight oatmeal blew me away. I kept checking my recipe notes to make sure this was actually a recipe suitable for breakfast rather than dessert! The blend of the tarte apples, cinnamon and maple syrup creates an indulgent breakfast that is ready to eat on busy mornings. Peel and core the apple. Cut into small cubes and place in a small frying pan. Add 1 Tbs of maple syrup to the pan and sprinkle 1/2 tsp of cinnamon over the apples. Simmer until apples are tender. Remove from heat. 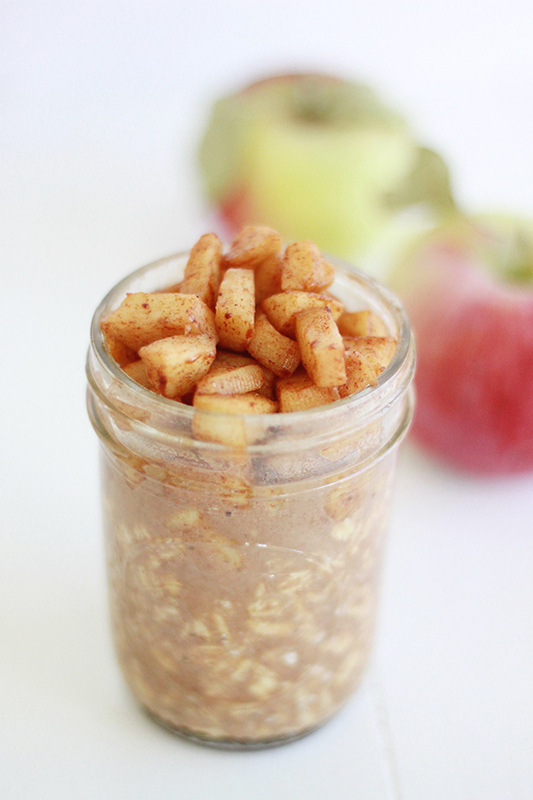 In a mason jar, add the oatmeal, cinnamon, maple syrup, apple cider and almond milk. Shake to combine and top with the sautéed apples. Seal the jar and place in fridge over night. In the morning stir the oats and enjoy!